A home-from-home atmosphere has endeared this South Shore tot even the most battle-weary Tripadvisor contributor. 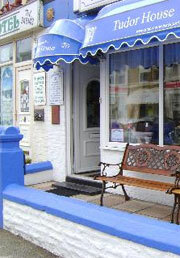 Seafront location close to Blackpool Pier. The South Shore is Blackpool’s most dazzling gem, occupying a place in the nation’s imagination quite unlike any other and the Tudor House Hotel offers 3 star bed and breakfast accommodation right there amongst it. When someone mentions staying in this resort, they invariably mean the South Shore, dignified as it is by those now familiar icons like the Pier and Blackpool Tower, the Pleasure Beach and the Tower Ballroom. This budget hotel is located just half a mile from the town’s South Rail Station and about 300 metres from the sea front.